Hair is such a delicate subject for me and I hate to admit it but I kinda covet my hair. It may very well be "just hair" to some but for me it's my crowning glory, some days it's the reason that I smile at myself when I look in the mirror. As crazy as that may sound it's the truth, I love my hair! And because I love it so much I am very adamant about who I let touch it and how I take care of it. Over the years I've had plenty of horror stories when it comes to my experiences with hair salons. From bad dye jobs, horrible haircuts, and even smoking-pistol-toting beauticians (that's a story for another day), I've experienced it all. Which is why I decided to compose a list of some of the top things that make me cranky when I even think about getting my hair done. While I'm pretty sure some of the things that made the list might apply to other types of salons, these are specifically based on my personal experiences with black salons. So if you've grown up in a black hair salon or been to more than a few then I know you can relate to some of these. This is probably one of the most common pet peeves I've had with most salon visits. I'm somewhat of a patient person in general but that doesn't mean that I want to spend the majority of my day inside of a hair salon. Some stylists have a bad habit of overbooking clients which means that while they're trying to fit in 15 heads a day, the appointments start to run together and create longer waits. I shouldn't have to sit in a shampoo bowl for an hour with wet hair because you have 3 heads to curl in front of me. I understand that you want to make the most out of your day but all I ask in return is consideration for my time. Look, I like to be entertained just as much as anyone else but when your conversations, stories and jokes start interfering with your performance then there is going to be a problem. True story, when we were in school my sister and I used to frequent a stylist who had the most hilarious and witty stories to tell on every visit. To this day we still laugh about some of those memories but in reality we were spending over 8-9 hours in the salon on a school night! Needless to say it wasn't long util we started venturing out (our mother snatched us out of there). The quickest way to send me running out of a salon is having a total disregard of what I tell you I want done to my hair. Listen, I get it. You're the professional and you want to show off your skills every chance you get. But doing the opposite of what I asked you to do could very well lead to a very unpleasant experience for both of us. I have naturally curly hair so when I get my hair pressed out I like to get it bone straight. I don't like barrel curls or rollers because I don't think it flatters me, and guess what? That's my choice! I had a beautician once that I only visited about 2-3 times. The first time she did my hair it was ok so I decided to return. The next couple of times she decided that she wanted to put rollers in my hair because in her words "I want to give it some bounce, that will look cute on you" I reemphasized that I just wanted it straight but alas she did what she wanted to do anyway. Once I got in my car I combed out those grandma curls and never looked back. Ok, I understand things happen and sometimes they are unavoidable. But when being late starts becoming routine then it's unacceptable. I've experienced this from both stylists I've frequented often and also on first visits. I remember a first visit at one salon where the stylist came in like 45 minutes late....yawning and rubbing his eyes and no apology in sight. If morning appointments aren't your thing, then cool don't book them! The bottom line for me is that once you start getting too comfortable or start acting like my business is no longer a priority to you then I'm out of there! Let me start by saying that I respect the artistry of hair stylists. I understand how many hours they put in daily and I know that they don't get sick days or pensions. Which is why I don't mind paying more for good service. But I do expect the same type of integrity and respect in return. Which means I need you to be upfront about your pricing. There have been times when I have been quoted a price at the door and an entire different one upon leaving. I've had beauticians "voluntarily" do deep conditions and other fee inducing services without mentioning that they were extra. I understand that there will be different fees for each service, all I ask is for you to be upfront with prices so that we can remain on the same page. I'm sorry but after that scissor incident a few years ago....I have trust issues, and it's going to take a lot more than one visit for me to build that trust with you and your overly anxious cutting hand. Some people are adventurous when it comes to hair, I am not one of them. So the mere suggestion of dramatic style changes especially on a first visit is one sure way to catch a vicious side-eye-of-death from me. I once visited a stylist for the first time and one of the first things out of her mouth was "Oh! Can I cut layers in your hair and do highlights?" -___- Um, mam we just met...can you at least get to know my hair a little....you know, take it out on a few shampoos first? no? I'm still on my quest to find a regular stylist and while researching a few salons I came across this hilarious review, and thought I'd share it just for laughs. I'll keep the name of the salon anonymous since this was their experience and not mine. 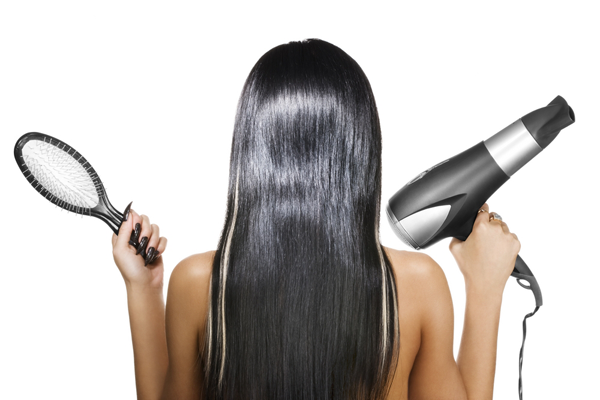 Have you had bad or awkward experiences in hair salons? Please share them, I want to read about them! OMG! Everything you said above is what I experience at Black salons. I would add the ones that I call "stylists only" and know absolutely nothing about healthy hair care. YES! I definitely forgot about those lol. I really hate ppl who call themselves professionals but don't know or just simply don't care about the health of your hair. I have never had nothing severe as this but once I had to get a relaxer and she relaxed it all good. My relaxed hair usually last for a month. Can anyone tell me why my hair was puffy and by the next day??? Total waste of money. These problems are not only associated with girls but boys also have to face these problems, All the problems mentioned above is true for both. I have tried several just horrible salons in Philadelphia but I found a salon called Xquisite Hair Design that actually run the business in a highly professional manner. What a breath of fresh air it was to find this salon.